What that means in practical terms is that Masonry provides tools to good men to make themselves better. Our rituals use stories and images related to working stonemasons to impart lessons. Masonry is also a fraternal society. Many men join to meet and make friends with other men in the community, attend both formal and informal social events and be part of a greater whole. There is a strong sense of history that runs through Masonry. It traces itself back to at least the 1300s, when working stonemasons formed lodges in England, Ireland and Scotland that served as guilds. The “secrets” of Freemasonry began as methods to ensure visitors were members of those guilds, so that they did not improperly learn the trade of working masonry (which included not just stonework, but architecture, engineering and art). As these guilds began to decline, masons’ lodges changed their focus and became fraternal societies that admitted men from all trades. While Masonry is not in itself a civic or charitable organization, we do take part in many civic activities and give both time and money to charitable organizations and privately to relieve those who may be in distress. Many of our appendant bodies do work directly to support either outside charitable efforts or ones of their own, such as the Shriners Hospitals for Children or RiteCare. There are also some things that Masonry is not. First and foremost, it is not a secret society. Secret societies do not build webpages nor adorn their buildings with easily recognizable symbols. We are, however, a society with a few secrets. No, we don’t know where the Holy Grail or Templar treasure are, but our secrets do carry a deeper meaning to those we entrust with them. Masonry is also not a religion, nor is it a substitute for one. While members believe in a Supreme Being, how each man defines that being and how he chooses to worship it is his decision alone. In fact, members are prohibited from discussing religion at meetings. Lodges are also not political institutions. 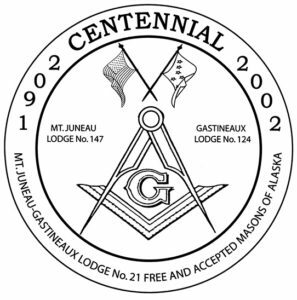 Many prominent politicians - both current and histoical - from across of the political spectrum claim membership in a Lodge, but Masonic institutions will not endorse any candidate, political party or ballot measure. In fact, political discussions are also barred at Lodge meetings. Freemasonry is also not a benevolent society. While we will aid and assist a Brother whose circumstances require it, no one should expect a financial benefit from being a Mason. Similarly, no one should become a Mason expecting to widen his business network or for career advancement. Finally, while there are reputable sites on the internet for further study of Freemasonry, there’s also quite a bit of nonsense out there as well. Take everything you see online about Masons with a grain or three of salt. A couple of good primers about Freemasonry are The Idiot’s Guide to Freemasonry and Freemasonry for Dummies. You can find back issues here, but we are looking to build and complete our collection. 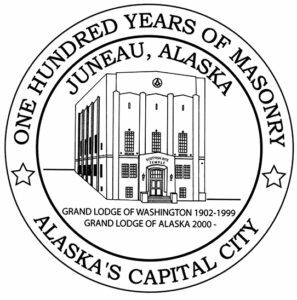 If you have older Cable Tows or other Masonic newsletters written in the Capital City, and are willing to share them, please contact us so we can make a copy and add to our library.